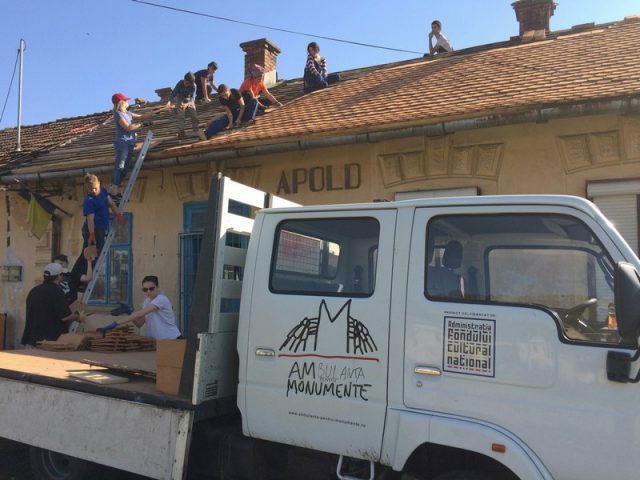 We wish to purchase a van and transform it into a “monuments’ ambulance” to supplement the intervention capacity of the “Monuments’ Ambulance” project, a pilot project initiated in the counties of Sibiu, Mureș and Brașov whose aim is to rescue historical monuments from degradation and crumbling. This purchase will make it possible for other volunteers to take part in the rescue of heritage monuments. Presently the requests of the public to participate exceed our intervention capacity as we only have one van. The van will be equipped with tools and accessories and it will be used to carry out simultaneous emergency works at the monuments as we carry out our activities in the hot season and are restricted by the weather conditions and the availability of our volunteers. The safeguarding of the degraded heritage is a short-term action; each day that passes by may mean the loss of another historical monument if the civil society does not get involved. This degradation has several causes, the main one being the lack of sufficient financial support from the state and landlords for the rehabilitation and restoration of heritage buildings; the National Restoration Programme carried out through the National Heritage Institute covers just a small part of the monument restoration needs. Cultural education in general, in particular with regard to the obligation to protect the national heritage of any kind is deficient or even non-existent especially among the rural population, even in villages with protected immovable heritage. This is especially burdensome for the heritage protection activities. The project aims at increasing interest for the rescue of the degraded heritage by changing the mentality of the Romanian society overall to the benefit of a real protection of the built cultural heritage, so as not to sit and wait for state aid, but rather act locally inside the community before the final degradation of the monuments. The degraded monuments may be rescued by the specialised association with experts, consultancy and fund raising, promotional activities etc. and the communities may get involved by providing construction works, logistical support and by monitoring and signalling the newly discovered problems. The project first targets the young people who are willing to learn monument intervention techniques and to get involved in their rescue. Equally, it targets the landlords of historical monuments (churches, mansions, historical buildings etc.) registered on the historical monuments list who cannot intervene with their own forces to repair the monuments first for lack of funds (old landlords, rural parishes). The project also targets the local communities where the degraded monuments are located which hope to acquire better awareness with regard to the value of their owned heritage and to the need to get directly involved into its preservation. Finally, the project also targets the civil society, the NGOs which are interested in protecting the heritage and which operate in the whole country, which are thus given a best practice model for the protection of immovable heritage. Last but not least, the project targets Romania’s philanthropic society in the hope to raise their awareness about the need to act urgently in order to repair the badly degraded heritage. The Ministry of Vulture, which has the duty to finance the restoration of monuments on an annual basis through the National Restoration Programme, cannot manage to finance the programme at the height of its current needs. The long-term objective of this project is to provide real and efficient protection to the degraded immovable cultural heritage through the civil society and the local communities. This will be achieved by acting directly on certain monuments which are in an advance state of degradation with the help of the local community members but also of volunteers; the aim is also to raise the awareness of the communities and of the Romanian civil society in order to improve the condition of the degraded material cultural heritage on the long term. The urgent architectural interventions are carried out by a coordinating team, a fast intervention team; they use specific equipment consisting in a fully equipped van, tools and other necessary construction materials and work in collaboration with a wide range of partners and with the involvement of the volunteers. Interventions will be supervised by architects and carried out according to a clearly established timeline. Emergency intervention works may be: replacement of the deteriorated rafters and tiles, strengthening of historical plastering, including the exterior fresco, cleaning the drain pipes, digging the drainages (with prior archaeological discharge), temporary replacement of the roofs and walls, protection of the construction with temporary membranes for the sealing of the roof cover etc. 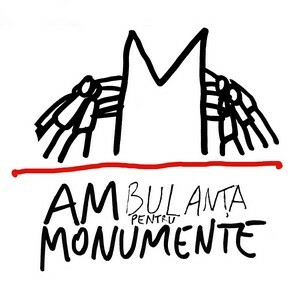 Asociația Monumentum a inițiat proiectul Ambulanța pentru Monumente în 2016 pentru salvgardarea patrimoniului construit. Pe lângă obiectivul principal, proiectul își propune câteva obiective specifice importante, unul dintre ele fiind o mai bună implicare a societății civile și creșterea filantropiei din România, în zona prezervării patrimoniului imobil. Regula după care funcționează acest proiect este simplă: acolo unde există cel puțin un sprijin pentru achiziționarea materialelor necesare punerii în siguranță a unui monument intervenim cu ajutorul voluntarilor. În prealabil, elaborăm documentația de autorizare a intervențiilor. Proiectul este susținut de Alteța Sa Regală Prințul de Wales și a fost co-finanțat într-o primă etapă de Administrația Fondului Cultural Național. În Anul European al Patrimoniului 2018, dorim sa dăm o nouă viață monumentelor. Până în prezent s-au realizat 11 intervenții de punere în siguranță a monumentelor la care a participat un număr de 70 de voluntari din România cât și din străinătate. S-a intervenit asupra următoarelor monumente: Turnul de cetate din Apața (jud. Brașov), Halta CFR din Șaes (jud. Mureș), Biserica evanghelică din Velț (jud. Sibiu), Biserica ortodoxă „Sf. Nicolae” din Gherdeal (jud. Sibiu), Biserica evanghelică fortifiată din Alțâna (jud. Sibiu), Biserica ortodoxă din Gârbova de Sus (jud. Alba), Biserica evanghelică fortificată din Copșa Mare (jud. Sibiu), Halta CFR din Apold (jud. Mureș), Poarta Brâncovenească din Sâmbăta de Sus (jud. Brașov), Palatul Principilor din Alba Iulia (jud. Alba), Zidul de incintă de la ansamblul bisricii fortificate din Filitelnic (jud. Mureș).